Please contact Catherine at cmbyram@gmail.com if you are interested (Calgary, Alberta area). This week Fabulous Film Fridays is hosted over at Samantha’s blog, check it out to see what Sam came up with this week. If you’re in the Calgary, Alberta area come on out to Cochrane (15 minutes from the west edge of Calgary) to the Garage Sale that Samantha and I will be holding Sunday July 24 from 9AM to 2PM MST. Not only do we have some traditional garage sale goodies (you know electronics, household items, tools etc) but we have lots of photography stuff available. The address is 22 West Terrace Close, Cochrane Alberta. Sale starts promptly at 9AM, cash only sales (receipts for tax purposes will be given out on request). Even if you don’t buy anything, stop by and say hi and go get a Mackay’s Ice Cream while in town! We will not sell anything in advance, all prices are final. Canon 24mm TS-E f3.5L lens (version 1): This lens I used for years to make some of my most memorable images. I have upgraded to the Mark II version of this lens but for those on a budget the Mark I version is super capable and does a great job. This lens goes for about $900 to $1200 on the used market. I will sell my for $800 (includes GST). The lens has been modified to have the shift and the tilt in the same plane which is the most useful configuration for landscape photography. Canvas and Aluminum Prints: Samantha and I have lots of canvas and Aluminum prints for sale that we will be blowing out at below wholesale cost. Large canvas prints start at $20. Metal prints start at $50! Also we have picture frames and traditional prints for sale at embarrassingly low prices. Photo Bags: We also have photo backpacks from Kata (3N1-20), Low Pro (Dry Zone and Rover), X-Gear Adventure Packs, Crumpler Bags and more. Photo Accessories: Lens Align, Cokin Filter products, camera filters, numerous tripods, tripod L-Brackets, flash and flash accessories, studio accessories, gels, white balance tools and lots of other photo goodies all for cheap! Photo Books: We have numerous photo books on offer from new to older titles. Photographers Beer Fridge: A critical accessory for the creative photographer! A brand new Danby compact bar fridge for $50! 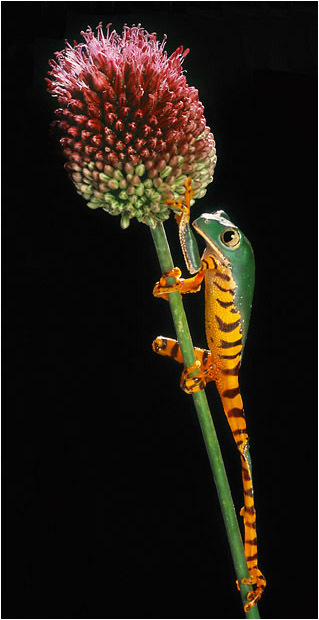 Aquariums and Terrariums: Perfect for snakes, chamelons, and frogs for photography. I used these to make my silly amphibian and reptile images. Large, medium and small. G&L Legacy Guitar with Marshal VS65R Valvestate AMP: Perfect for thrashing out Neil Young songs while waiting for HDR photos to develop on your computer ($500 for the kit). Outdoor Gear: Goodies for the outdoor camper and backpacker. My chiropractor has ordered me to reduce my load, my Sherpa has quit and my bank won’t increase my mortgage for the addition of a used equipment storage wing… Hate to see my trusty tools go but since I have downgraded to micro 4/3, I simply don’t see myself using it any longer. If anyone is interested in any of the following equipment / lenses, contact Alan at 1 403 721 2117 / ernst@aurumlodge.com. Panasonic – Lumix L10 DSLR with 14-50mm Leica lens (= 28-100mm equivalent). 10MP 4/3 sensor, RAW & jpeg, variable aspect ratios (3:2,16:9,4:3), and fully articulated LCD screen. Spare battery and 4GB memory card. Very good condition. Camera is a very user-friendly entry level camera ideal for a beginner or if you are looking for a back-up for an existing 4/3 system. Accepts Olympus 4/3 lenses. Olympus – 70-300mm f4-5.6 tele zoom lens (140-600mm equivalent. Versatile and surprisingly compact tele lens with that extra long reach for wildlife and landscape extraction. Good condition. Olympus – E-30 DSLR, body only. 12MP 4/3 sensor, Raw&jpeg, fully articulated LCD screen. Spare batteryGood condition / little used. Very responsive with great AF and 5 f/sec continuous = good for wildlife and moving subjects. Spare battery. Asking $ 450 (new: $1,100). And some not so antiques from the last century. Remember the age of film anyone? Good news is that these 35mm Nikon F-mount lenses will work with most newer Nikon DSLR’s with built in AF motor (crop factor on APS sized sensors is 1.5, i.e. 100mm becomes 150mm on APS DSLR). All lenses in very good to excellent condition; no dust, no scratches). Sigma 400mm f5.6D Tele Macro. Close focussing tele lens good for wildlife and birds. No VR. Sigma 70-300mm D f4-5.6 APO DG tele zoom with close focusing range (1:2 at 300mm). No VR. Asking $ 160 (new $ 240). Nikon Speedlight SD-22 w. Tilt head and built in diffuser. Asking $ 60. I have a Tamron 180mm f3.5 macro lens for sale. This lens is very sharp (as sharp as my Canon 70-200 f4L). It is a wonderful macro lens offering a narrow angle of view (great for controlling backgrounds) and gives plenty of working distance between the lens and the subject (great for butterflies and frogs). Like most Tamron lenses the auto-focus is a bit sluggish but personally I never use auto-focus for critical macro work anyway so this was never an issue for me. This lens is no longer made but has gotten really good reviews – see here and here. If you want the advantage of the benefits of a long macro lens, consider this lens (it’s a Canon mount and works with both full frame and APS-sized Canon cameras). I will sell this for a song (and some cash!) — $500 CAN (plus GST or HST as applicable – includes shipping in Canada). This is the lowest price for this lens I have seen on the net. First dibs go to a Canadian sale. I will consider a US sale only if no Canadian buys it (c’mon Canada!). Contact me at wiggett@telusplanet.net to buy. This is the bottom line price, don’t insult me by offering me two songs and a case of beer (I am not that easy!). This lens is now sold – Jan 20th.